Welcome to v3 of the Spotlight IT Solutions website. Spotlight IT was founded by Craig McFadyen in 1999, based in Dublin Ireland. 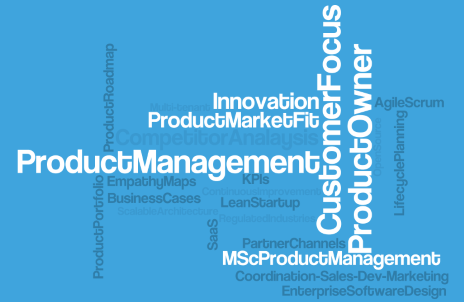 For Short random snippets from the world of product management, enterprise software development and other observations. Not our favourite way of keeping in touch and meeting professional people but nonetheless we have a rarely updated Facebook page (but prefer to use LinkedIn. I've spent most of the early part of my professional career developing and project managing enterprise solutions on behalf of large companies and government agencies. These were mostly large bespoke software solutions specifically tailored to the customers needs. As the software development and product manager for PMI software since 2007 a greater emphasis has been on product development that addresses more generic market requirements for a much larger audience. Although I've managed large Agile development teams the primary question that bothers me today isn't HOW to build a specific software solution but WHAT purpose does the product serve and what specific value does it provide to the customer to justify its purchase. Factoring this into the product development lifecycle can help to achieve greater customer satisfaction and sales. What problems does it solve, who will pay for it, how big is the market for it. All of these questions should be answered before a line of code is written using minimum viable products (MVP). The famous example is Dropbox's which tested the market with a MVP as simple as a youtube video to gauge interest. Iterative development such as Agile Scrum should be done based on an equally iterative market opportunity assessment. Books by Eric Reis such as lean startup and Steve Blank's "The Four Steps to the Epiphany" makes a lot of sense from my experiences. In many cases long protracted software design phases resulting in mammoth functional specification documents have to evolve anyway as assumptions and market requirements change. "Lean" techniques such as 5Why analysis and other approaches are borrowed from manufacturing techniques but Enterprise application development isn't as simple as following a startup formulae. It involves choosing the most appropriate techniques and in many cases with on-premise enterprise products quick experiments can't be conducted because the feedback loops can be too long. When you get to build the product very few of your originally envisaged ideas are likely to survive the real world. That super-cool feature that the development team spent 3 weeks on isn't used by anyone, so whats the point ? The subtle difference when listening to the "voice" of the customers isn't to implement everything they necessarily ask for, but instead based on themes across multiple interviews to understand and address the underlying requirement. Using Agile Scrum techniques to build small and releasable increments of functionality is an excellent way to get feedback from internal teams and external customers while building engagement and momentum in the release cycles. I've completed a PostGraduate Diploma and Masters in Product Management (MSc.) with DIT in 2014 and learned a lot along the way both from the literature and the shared experience of industry experts and colleagues.